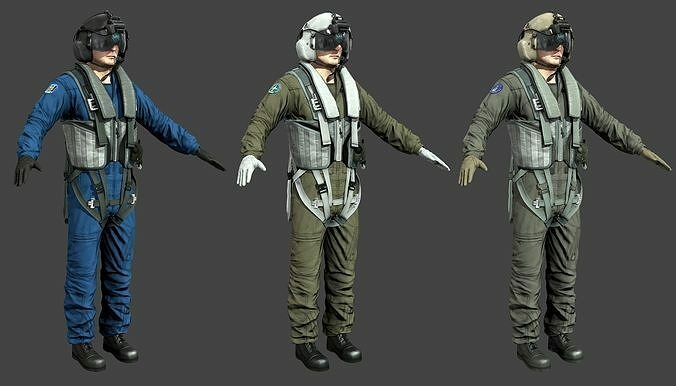 Chinese, Russian, US aircraft pilot, jet pilot character with detailed suit, modeled in high precision. The Quality you need : First of all, this model was based on a several pictures and close up of the real product to provide you the best quality in terms of texture references and proportions. The entire model was textured with its accessories relying on references and actual products.